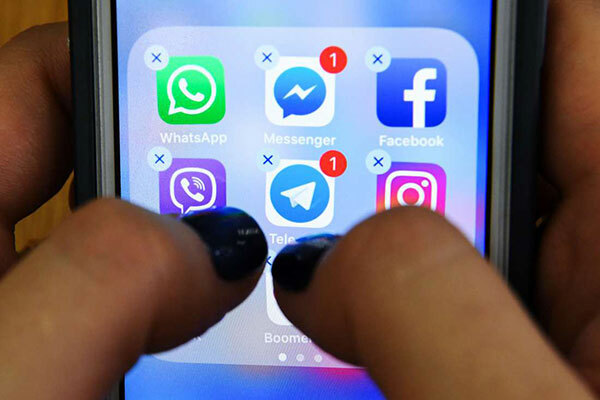 Telecom companies in Uganda were tasked by the government to restrict access to social media platforms following the implementation of a new tax targeting over-the-top (OTT) services. On July 1, the OTT tax was implemented and sparked a lot of public outcries but all was in vain. This tax is still currently being imposed and all users who wish to access social media platforms are required to pay Shs200 for each day of access. In order to pay the social media tax, you will need to ensure your SIM card’s mobile money account is active with some money loaded on it. Alternatively, someone else with a mobile money activated SIM card can help you do it. Dial *165# to launch the mobile money menu. On the list displayed, locate and choose the option that has “Airtime & Bundles”. This is currently the second option. When the Airtime & Bundles menu opens, look for ‘Pay OTT Tax’ on the list displayed. This is currently the eighth option on this list. This will open into another menu with the different number of options to choose from. For users looking to pay the tax for the SIM card currently in use (on which the USSD code is running), the first option should be chosen. Those willing to pay for other numbers, the second option should be chosen while those who wish to pay for an Africell number, the third option should be chosen. Depending on the option chosen, this should lead you to another menu that prompts you to choose the nature of subscription you wish to purchase. Currently, the daily rate is Shs200, weekly rate (Shs1400) and monthly rate (Shs6000). Choose an option that suits you or affordable to you depending on your mobile money account balance. This then opens to confirmation section that requires you to enter your mobile money account PIN Code. Enter your correct PIN code and click send. The service provider will then go ahead and charge the tax from your account and allow you access to social media for the subscription period you selected. Similar steps should be followed from the mobile money menu so you can either start with *185# or *185*2*5# to land on the OTT payment menu. Dial *144# to access your Africell Money menu choose option 2 then option 5. With Africell, you also have an option of paying the tax using your personal airtime, to get that option dial *133#, then choose option 6.